This collection focuses on experiences we all face on our journey through life - the intoxication of new romance, the conviction about long-standing relationships, the passing of those who so strongly shape our existence, learning to live with patience, and the constant pursuit of peace in our times. This batch of all-original material, now with Bob Smith fully back in the line-up, features special guests David Praet (acoustic guitar) and former Loggins & Messina and Nitty Gritty Dirt Band member Merel Bregante (percussion, vocals). 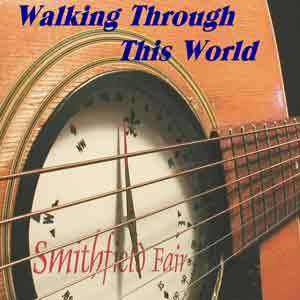 This album represents a milestone in Smithfield Fair's own progress as a band and follows Winds of Time with a renewed acoustic pop shimmer and a 'tip of the cap' to the music that inspired the band's own music.